This beautiful pendant is simply heavenly. A solitary clear crystal is surrounded in clear crystal pave that glitters as it catches the light. 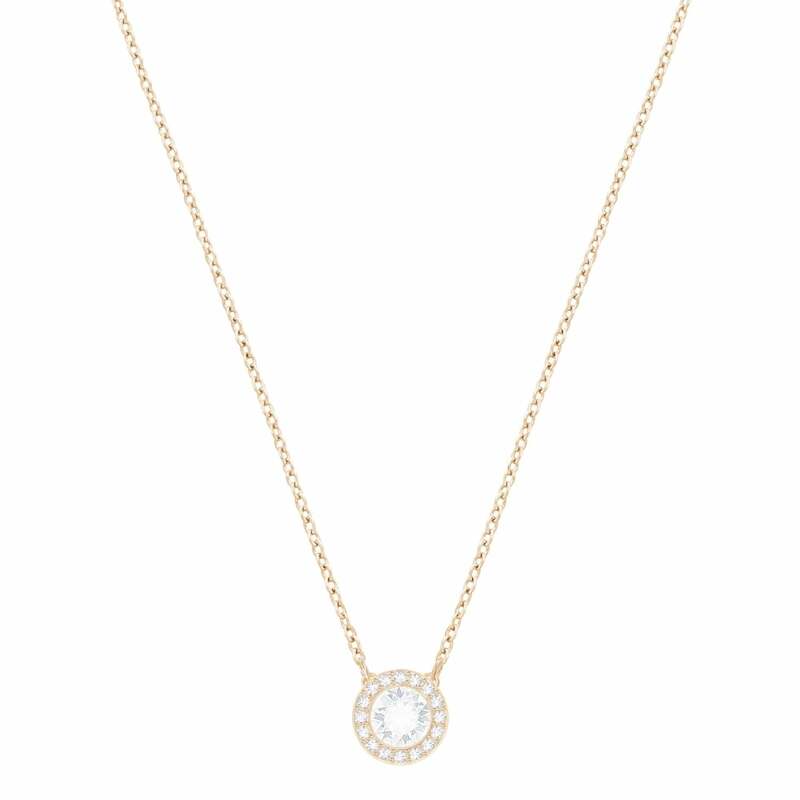 This elegant pendant hangs from a delicate chain, cast in rose gold plate. Worn alone or layered with other Swarovski pieces, you will be the epitome of timeless elegance, anytime, anywhere.